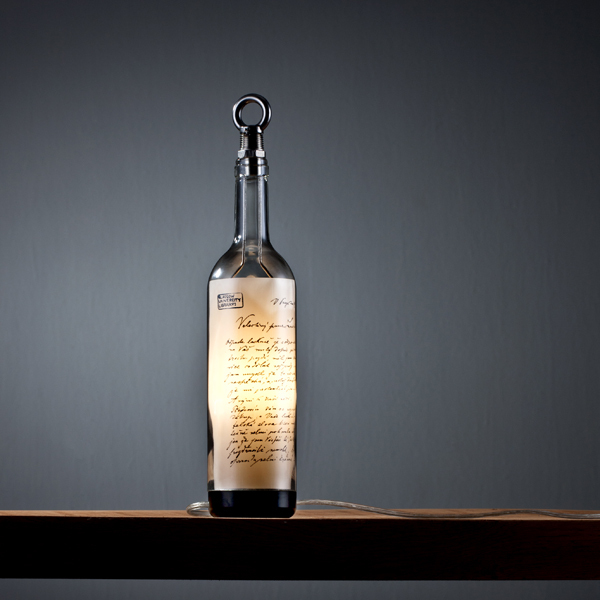 Chinese self-taught designer John Meng has made a series of recycled wine bottle lights. 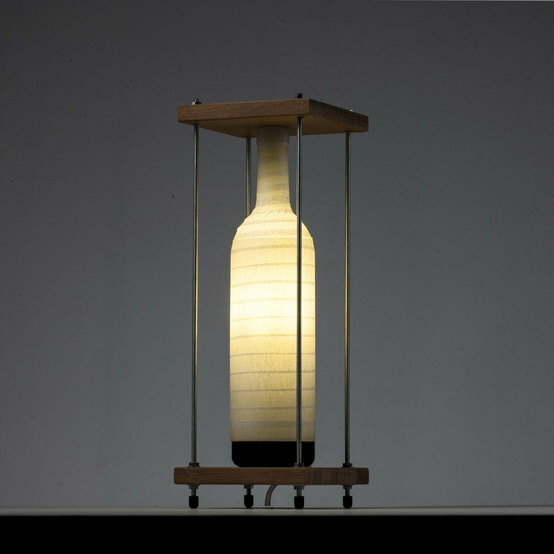 Each part is assembled by everyday craftsmen on the streets of Xiamen, taught by Meng. 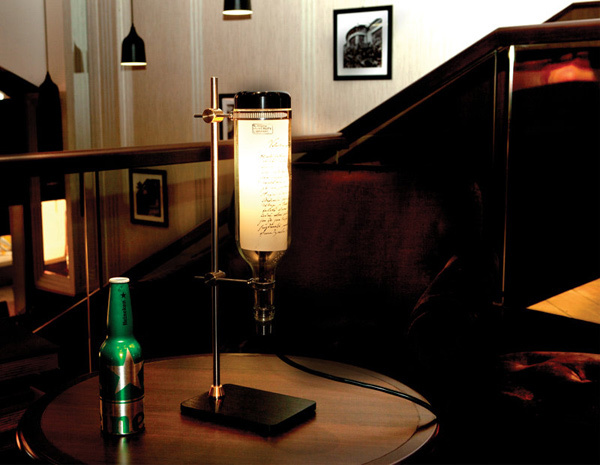 Above is Patriot lamp which resembles a message in a bottle. 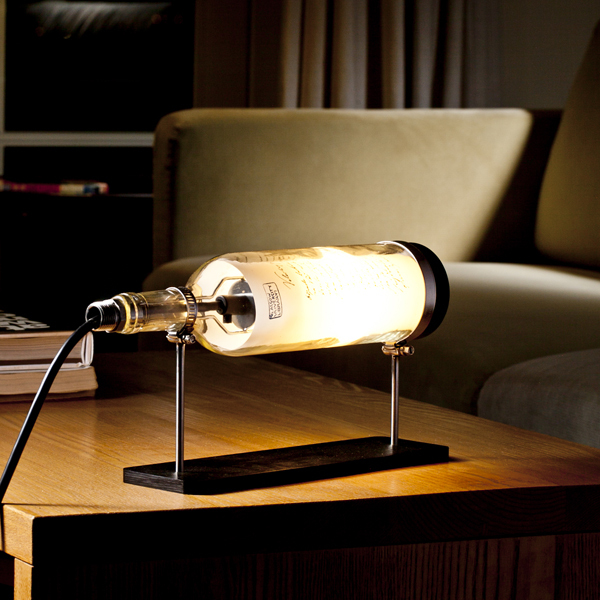 Also in the series is Lab lamp and In Light of Duchamp which has been wrapped in masking tape. Available to buy at Etsy.